I played about 250 hours of Hitman (2016). It was originally bought as a treat for myself after finishing university with a 2:1. Over the months following that, I would repeatedly play every level hundreds of times, beating scores I had previously attained, trying out new stunts or attempting the latest elusive target. Suffice to say, I had Hitman fever once again. A feeling I had not felt in around a decade since the release of Hitman: Blood Money. 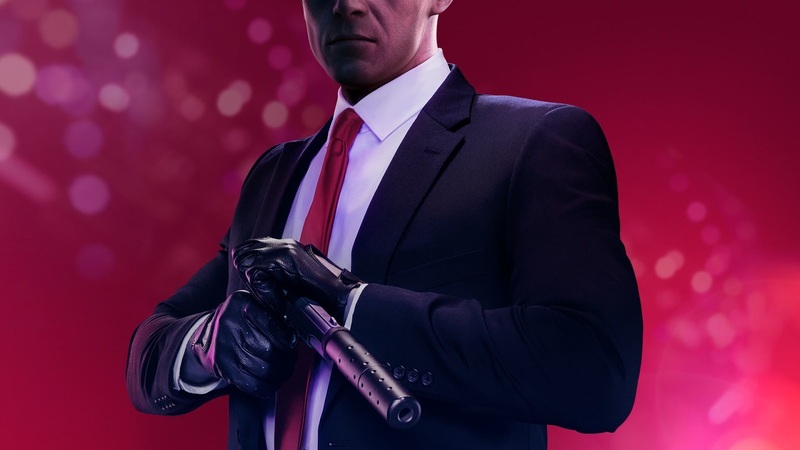 At EGX 2018, Warner Bros. Interactive Entertainment was very kind to let me have a hands-on preview session with Hitman 2. As a direct sequel to the first, the narrative will continue the story of Agent 47's hunt to find the Shadow Client and tear down his militia. 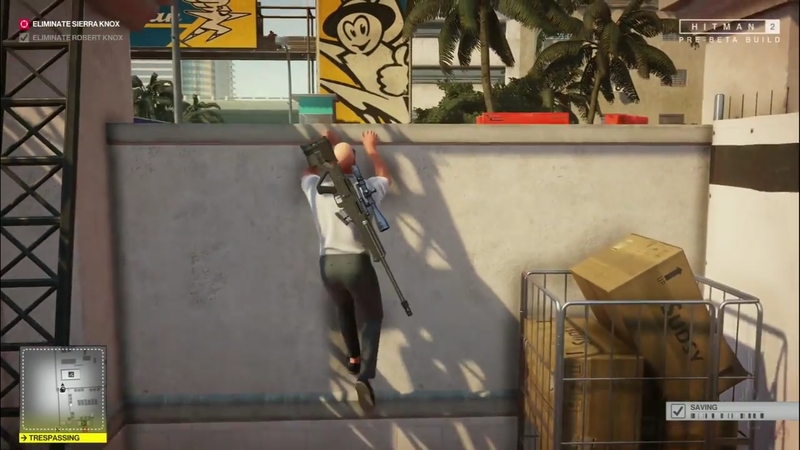 If you're at all familiar with the formula of a Hitman game, you'll know what to expect. Each level takes place in an open-ended environment with the objective of killing a set of targets in any way possible. Players can forge their own path to reach their goal, with barriers such as guards, cameras and other obstacles getting in the way. In this regard, it actually feels like a puzzle game, where you must think and plan a route out as you approach each mission. In the level I played, 47 was sent to a racecourse in Miami to kill Robert Knox - the CEO of a company called Kronstadt - and his daughter Sierra, who is participating in the company's innovation race. The main thing to appreciate about Hitman 2 is how similar it feels to the first game, and yet also features vast improvements. I was really impressed by the increased number of characters on-screen at once. It felt as busy as one might expect a racing expo centre to be. 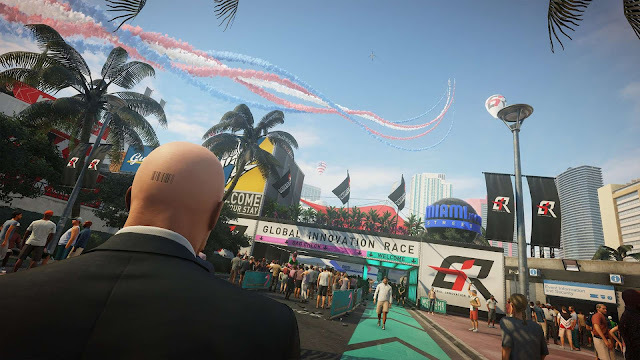 Not only does this look the part, but the crowds in Hitman 2 also feel busier and more alive. They talk among themselves and walk about from each point of interest, but most importantly, they can be used to blend in and hide from pursuers. I approached the side of the map that faced the waterfront and was met with the opportunity to have a one-on-one meeting with Robert Knox, via the disguise of a sullen military general. I waited until he was alone and knocked him out. 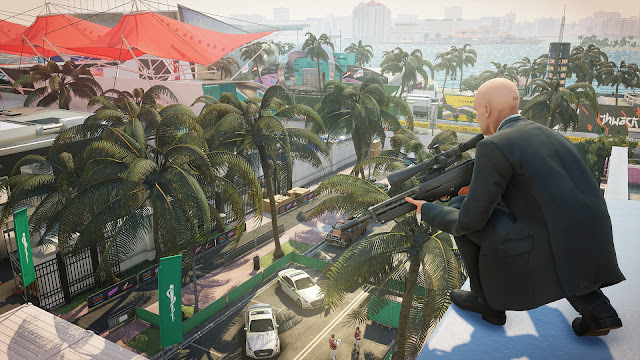 Hitman 2's greatest asset is how most of the systems; the knockouts, the disguises, the physics - all behave similarly to the original's. New entries to established franchises can either change the whole feel of the series or take that familiarity and build upon it. Since this game will also include remastered versions of the maps from the original for those who own it, it is clear IO Interactive want this to be the definitive edition of the rebooted series and not just a straight sequel. Using the general's disguise, I was led to a meeting room where Knox was demonstrating his new robotic weapons targeting system. Simply feeding the machine a photo will cause it to aim precisely at that particular target, as he demonstrates by using a photo of a test dummy. At this point, I knew exactly what the game wanted me to do. Of course, this is Hitman, so experimenting with your gameplay is encouraged. I thought, "can I get the robot to murder this man without his bodyguards seeing?" I found the photograph of Knox in another room, and also discovered a side door back into the demonstration. This was perfect. I opened the door and threw a coin on the ground outside, tempting Robert Knox to follow the sound (apparently millionaire CEOs still chase loose change when they hear it?). I quickly hurried to the weapon as he was leaving the room, and scanned the photograph. It shot Knox just as he went through the exit, allowing his body to fall forward but not as to alert his guards. In many games, players could dismiss this as unrealistic, buggy, or just plain wrong. But I think it works for the type of game Hitman is. It's an environment built by layers of systems, and there's a large degree of consistency with how those systems interact with each other. Half the fun in this series is seeing how you can exploit the infrastructure for your own amusement, and when it's successful, it feels incredibly rewarding. Taking care of Sierra Knox was a different story. As a professional driver, she spends the most of the level taking part in the race. I was presented with several opportunities to kill her. 47 can disguise himself as a member of the pit crew and place a bomb on her car as she comes in for repairs, or he can wait until she finishes the race and place petrol in her flaming vodka celebratory cocktail. I wanted to try my hand at something a little trickier. In the building garage, the agency had left behind a briefcase holding a sniper rifle for me, allowing me to smuggle the weapon past guards and civilians. This was one of the most requested features in the first game, and I'm really glad it found its way into this one. Taking the sniper up to a rooftop, I set up camp overlooking the racecourse. The unsuspecting crowd below roared with excitement every time the racers did another lap. I took aim, and saw my target approaching. Sierra Knox is a good driver, but can she dodge a bullet? I waited for the right time - just as her car was straightening up on the track - and fired just as she was crossing the line. She spun out of control, crashed, and I got the kill confirmation. I escaped with a perfect silent assassin rating. Mission accomplished. As a huge fan of the Hitman series, I am delighted that this new entry does not detract from the previous ones. I never thought it was possible for each game to be topped, and yet somehow IO Interactive seem to have perfected the art of making a sequel. Considering the future of the franchise was in jeopardy when Square Enix dropped the developer last year, it's very lucky that Warner Bros. came along when it did and the series could breathe again. It's probably my most-anticipated game of 2018. 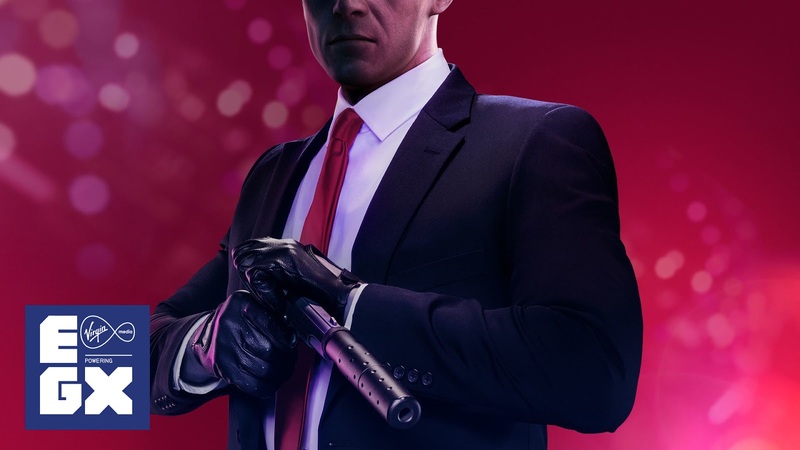 Hitman 2 releases on 13th November, 2018 for PC, PlayStation 4 and Xbox One.